I'm not going to lie, even after talking about the virtues of the genre, I am still embarrassed to admit I occasionally play dating sims—and I shouldn't be. It's funny. If I say I play Angry Birds, Call of Duty, or Street Fighter, I never feel embarrassed. Games have been a part of my life since I was four years old and they have become both my hobby and my career. Yet, I still feel embarrassed to admit I enjoy a good dating sim from time to time. This is, of course, because of the general reaction I get—one somewhere between pity and disgust. It seems that the common understanding we have all agreed on is that playing dating sims means I am some kind of social failure—that I am unable to get a girl in real life and thus have turned to virtual girls instead. And while that might be true for some, I doubt that is true for most people who play dating sims—and most certainly not for me. 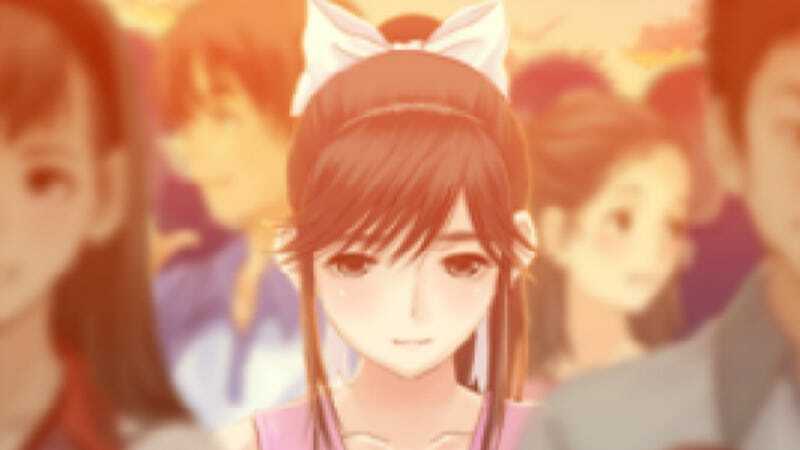 For me, a dating sim is just like any other piece of fiction: an escape to a life different from your own. I will never be a magic-wielding hero tasked with saving the world—nor will I be involved in an epic high school romance where I find true love. But thanks to books, movies, TV, and, of course, games, I am able to live these lives vicariously through fictional characters. Yet, for some reason, while it is okay to immerse yourself in the role of a space marine slaughtering endless hordes of aliens in a game, it's bad to do the same in a story about falling in love. When you take a step back, this makes little sense. After all, looking down on a person for playing dating sims is just like looking down on someone for liking romance films or reading romance novels—hell, a dating sim basically is an interactive romance novel. Frankly, this mindset is hurting gaming as a whole. As it stands now, the overwhelming majority of big budget games are adventures—the interactive equivalent of action movies, so to speak. They are empowerment fantasies designed to pump you up and take you for a fantastical ride. And while there is nothing wrong with games like this, to then look down upon games that try to explore drama or romance simply stunts gaming as an art form—preventing it from growing in new and unforeseen ways. So don't be embarrassed if you like dating sims, or any other type of game, for that matter, that breaks away from the standard acceptable ideal. Admitting you like it and telling others why is the first step in improving gaming as a whole.